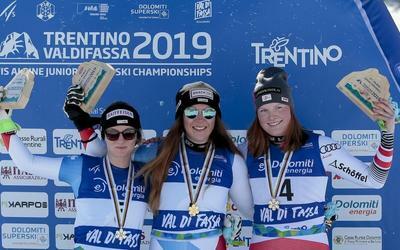 Sixteen Italians will follow the dream of the world championship in Val di Fassa, in the upcoming Junior World Ski Championships scheduled from February 18 to 27. 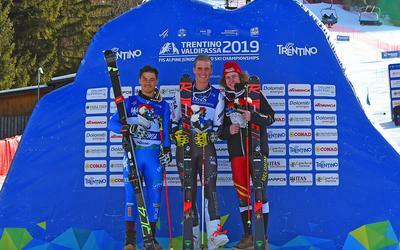 Sixteen Italians will follow the dream of the world championship in Val di Fassa, in the upcoming Junior World Ski Championships scheduled from February 18 to 27. 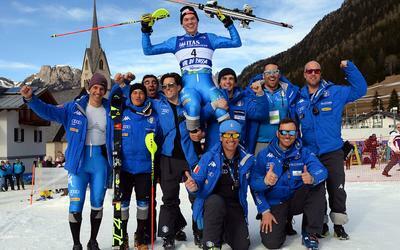 Eight boys and eight girls, led by Alex Vinatzer and Lara Della Mea, without any doubt the two big names of the Italian school and in some ways also among the possible protagonists of the event, with the South Tyrolean already able to get on the podium in 2018 in Davos, when he was second. Men's Team: Alex Vinatzer, Matteo Canins, Pietro Canzio, Matteo Franzoso, Tobias Kastlunger, Samuel Moling, Niccolò Molteni and Matteo Pradal. Ladies' Team: Lara Della Mea, Giulia Albano, Anita Gulli, Sofia Pizzato, Marta Rossetti, Teresa Runggaldier, Elena Sandulli, Carlotta Saracco. They will therefore animate in an Italian key the eleven races that will be divided between the track Aloch of Pozza di Fassa (technical disciplines) and La VolatA of Passo San Pellegrino which will host the fast disciplines. On February 18 the first location of the competition will be La VolatA with the first time trial, while the first world title will be awarded on Tuesday, February 19 on the Aloch with the ladies' giant, followed the next day by the slalom, also for ladies, and the male downhill. On February 21 the men will return to the track in San Pellegrino for the SuperG, while on Friday 22 it will be the turn of the ladies' superG and the Team Event, at night, on the Aloch. Saturday, February 23 will be the turn of the Alpine combined that will proceed of twenty-four hours the ladies' challenge, while the second world championship week will open Monday 25 with the men's giant and the first test of the ladies' downhill, Tuesday 26 then space for the men's slalom with Alex Vinatzer to put back up for grabs the silver won last year in Davos, the last title up for grabs will be that of the ladies' descent on Wednesday 27.